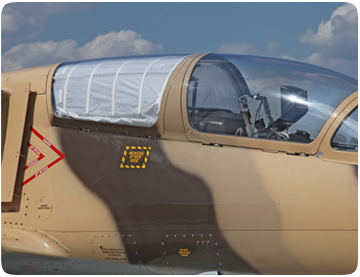 An opaque aircraft curtain is utilized in the aft cockpit to simulate IFR conditions both looking out the side and forward. This curtain is retractable for crew visibility and collision avoidance when not conducting IFR unusual attitude and upset training. Website Design by Creative Spot Interactive Columbus Ohio.